Red Hen Press, 9781597090377, 76pp. 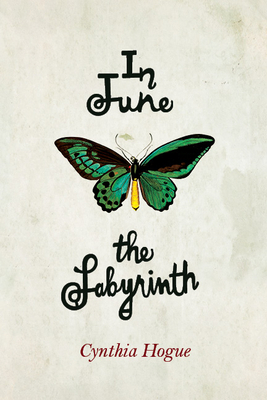 In her stunning ninth collection of poetry, In June the Labyrinth, Cynthia Hogue tells a deeply personal lyric of love and loss through a mythic story. This book-length serial poem follows Elle, a dying woman, as she travels a trans-historical, trans-geographical terrain on a quest to investigate the labyrinth not only as myth and symbol, but something akin to the "labyrinth of the broken heart." At the heart of Elle's individual story is the earnest female pilgrim's journey, full of disappointment but also hard-won wisdom and courage--inspired by Hogue's own composited experience with loss, in particular the death of her mother. Rooted in the idea of the labyrinth as a symbol for life, as in the great Gothic cathedrals of Europe that Hogue would visit the summer of her mother's death, these poems above all distill, fracture, recompose, and tell only partially--literally in parts but also in loving detail--the story of a life.